What is the CMN/MAO Partnership? Children’s Miracle Network Hospitals has been selected as the official national platform for the Miss America Organization. This partnership represents the first time in the 91 year history of the Miss America Organization that they have adopted such a program. Children’s Miracle Network Hospitals has had an 18-year history working with the Miss America Organization, with this newest initiative signifying a permanent and on-going relationship between the two. Each year the new Miss America, in addition to bringing awareness to her personal platform, will be an official goodwill ambassador for Children’s Miracle Network Hospitals as she raises funds and awareness for both Children’s Miracle Network Hospitals and the Miss America Organization. This partnership also extends to the woman competing at the local, state and national levels of the pageant, asking each contestant who participates to be responsible for raising funds on behalf of Children’s Miracle Network Hospitals and the Miss America Organization. To learn more about the platform program, click here to download the Introductory Booklet. Where can I find more information about Children's Miracle Network Hospitals? Children's Miracle Network Hospital is a non-profit organization dedicated to saving and improving the lives of children by raising funds for children’s hospitals across North America. Each year the 170 Children's Miracle Network Hospitals provide the finest medical care, life-saving research and preventative education to help millions of kids overcome diseases and injuries of every kind. To learn more, visit www.childrensmiraclenetwork.org. You must register on MissAmerica4Kids.org and a minimum goal will be set for you ($100 for Local Pageants, $250 for State Pageants and $500 for the National Pageant). We hope you select a higher goal. You may still support a personal platform. The Miss America Organization selected Children's Miracle Network Hospitals in 2007 as its National Platform. So while other personal platforms are still valid, we hope future platforms chosen will relate to the many worthy causes a children's hospital can provide. How many emails should I send out? You are encouraged to send emails to ALL your family and friends. A good suggestion is to send at least 10 emails to get your fundraising started. The more emails that you send out the higher your chances are for potential donations. How long do I wait till I send a second email to someone? That is a personal preference, but a good standard to follow is if you haven't heard back from someone in a week's time it may be a good idea to follow up with another email or perhaps a phone call. What if the photo I would like to use is in a different format than what is accepted? You will need to reformat your picture to meet the following requirements: Max. Photo Size: 4MB. Type Allowed: JPG, GIF, PNG, TIF. No, you are limited to one photo. Can I edit my Contestant Profile? Yes. Simply log in and click on the "Update Profile" located on the left navigation. Can I customize my personal page? The only customizations on the personal page are your picture, full name and your fundraising goal. Can I customize the email I send to my friends and family? Yes. You can now add a custom message to the emails you send out via the website. In addition you can also send the email to yourself and simply forward and customize a new email to your friends and family. How do I remove a pageant I am no longer competing in? You will need to contact that specific pageant director and he/she will be able to remove you from the pageant listing. How do I register for my state pageant once I win my local pageant? The state director will manually register you for the state pageant shortly after your local pageant is won. I am competing in locals for two different states, what should I do? You will need to register again for the second state you are competing in. All fundraising will be separate and no funds can be shared between the two profiles. You will need a separate email address for this second account. Do I need to update my pageant cycle like I used to before the website changed? No! The new site is based off of pageant date. 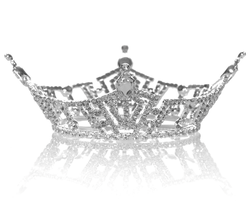 Each pageant you register for has a date associated with it. Funds you raise will help qualify you for nearest upcoming pageant. I am trying to register for an upcoming pageant, however my pageant is not currently displayed in the list of available pageants. You will need to contact the specific pageant director over that pageant to have him/her add this pageant to the current list. I mailed in a check donation and the donation has not been credited to my account. What should I do? Check donations can take up to two weeks to be processed. If it has been longer than two weeks please contact the accounting department at (801) 214-7400.